Of Mice and Mammaries, Part 2: Breast cancer in a dish? In light of Breast Cancer Awareness Month, Justin Varholick traces how mice have helped breast cancer research over the past century. In the second post of this 4-part series, we look at advances made from 1960 to 1975 when scientists were studying a virus in the milk. Last week, in Part 1 of this series, we discussed how scientists from the early 1900s studied the growth and spread of mammary tumors in mice. We also walked through an experiment discovering how the breast milk from mother mice carried “something” that was more responsible for breast cancer than the genes the mother had passed down to her pups. This week we learn how scientists determined that this new “something” was a virus, and this virus could only be found in mice – it was never found in humans. 1940 to 1960 — What’s in the milk? After Dr. John Bittner found out that there was “something” in the milk, many scientists wanted to figure out what it was. A first thought was to filter the milk and see if it still showed the same effects as Dr. Bittner’s experiments. Scientists took very special filters used to filter out bacteria, and ran mouse milk from “high tumor” mothers through these filters. Despite filtering, the results remained the same – filtered milk from “high tumor” mothers still led to tumors in pups fed the milk. Then in the early 1950s scientists started using electron microscopes to compare “high-tumor” mouse breast milk with normal “low tumor” mouse breast milk. The electron microscopes gave scientists the power to magnify the milk 2,000,000x the normal size – magnification beyond what the bacteria filters could filter out. After comparing the types of milk, Dr. Leon Dmochowski found many small particles in the “high tumor” milk and very few of these particles in the “low tumor” milk. After other scientists repeated these experiments, they concluded that these particles were the “something” in the milk that may be responsible for tumors in the pups. Many scientists looked for these particles in human breast tissue and milk, but could never find it – only mice have this “something” in the milk. It was interesting, however, that the particles were in both “high tumor” mothers and “low tumor” mothers, albeit in different amounts, which indicated that both types of mothers were at risk to have the mammary tumors – “high tumor” mothers just had a higher risk. While all this science with electron microscopy was going on, scientists studying mammary tumor cells in mice determined that the something in the milk acted very much like a virus and gave it the name mouse mammary tumor virus, or MMTV for short. 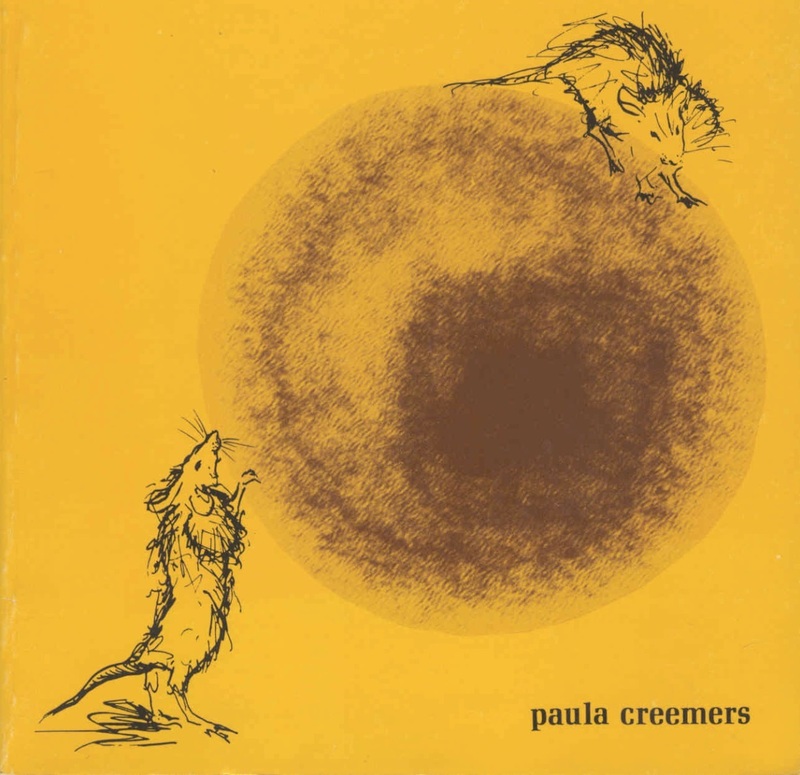 Cover of “Immunity against the mouse mammary tumor virus” by Paula Creemers. Electron microscope image of MMTV with a sketch of two mice with mammary tumors. 1960 to 1975 — Can we grow the milk virus in a dish? Now that scientists had established that a virus in the milk was responsible for mammary tumors in mice, they wanted to see if they could grow the virus in a petri dish. Scientists had already grown viruses in a dish that were responsible for cancer in chickens, and other viruses that were responsible for skin cancer in humans, so they believed they would be able to grow MMTV in the dish. Unfortunately, growing the milk virus dish proved very difficult. In the 1970s many scientists tried to grow the virus in a dish and were unsuccessful. One group of scientists at the Cancer Research Genetics Laboratory (CRGL) of the University of California, Berkeley showed that the virus could be grown in a dish, but it was too cumbersome for many scientists to use for research. Because MMTV could not be easily grown in a dish, scientists interested in mammary tumors in mice knew they had to find a new method if they wanted to continue using mice to understand more about breast cancer. Tune in next week, to learn how scientists started using new methods with stem cells to make genetically engineered mice and how they validated that the mouse could be used as a model for humans! Posted on October 16, 2017 by EditorPosted in News, Science NewsTagged breast cancer, milk, MMTV, mouse, tumor. Previous Previous post: Research Roundup: Snail venom and cancer, reversal of advanced heart failure and more! Next Next post: Research Roundup: Killing cancer cells, growing drugs in chicken eggs and more!